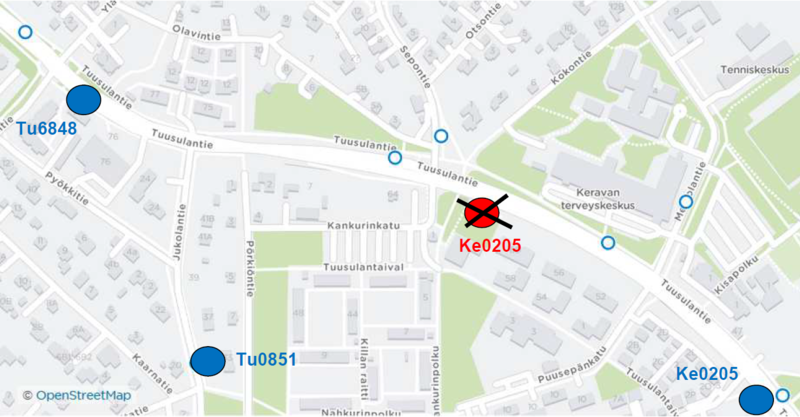 The "Kilta" bus stop on Tuusulantie in Kerava will be temporarily closed from Monday 3 December due to construction work. The stop is expected to be closed until the end of 2019. The closest stops are "Suopurontie" (Tu6848), "Multatie" (Tu0851) and "Uimala" (Ke0205). The change affects buses 632, 635, 962/K and 963/K.